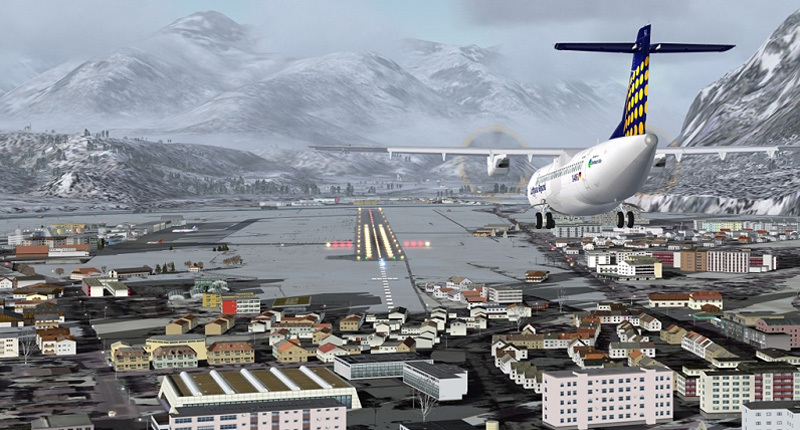 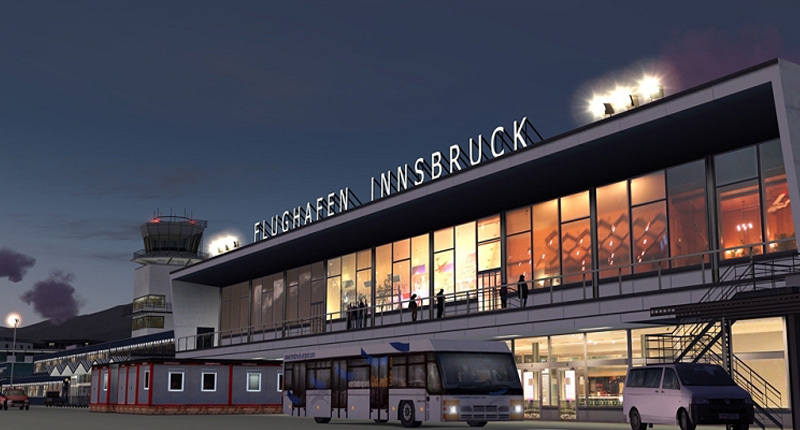 Experience Innsbruck airport, one of the most challenging airports in Europe. 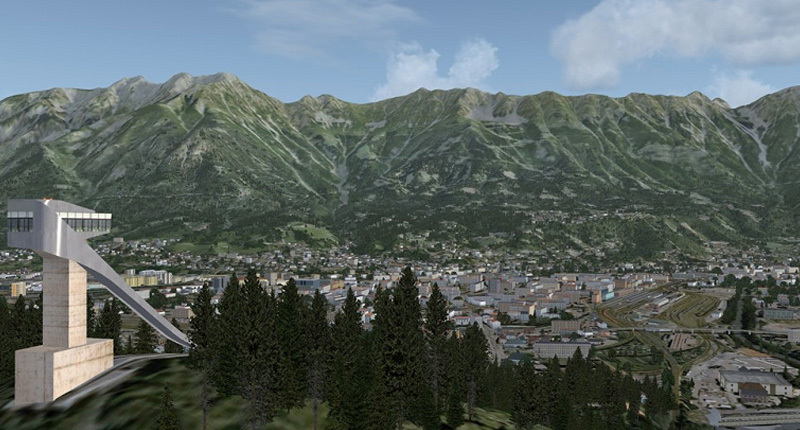 Every building is recreated with great attention to detail and realism and is placed on high definition areal images in the great Alpine landscape. 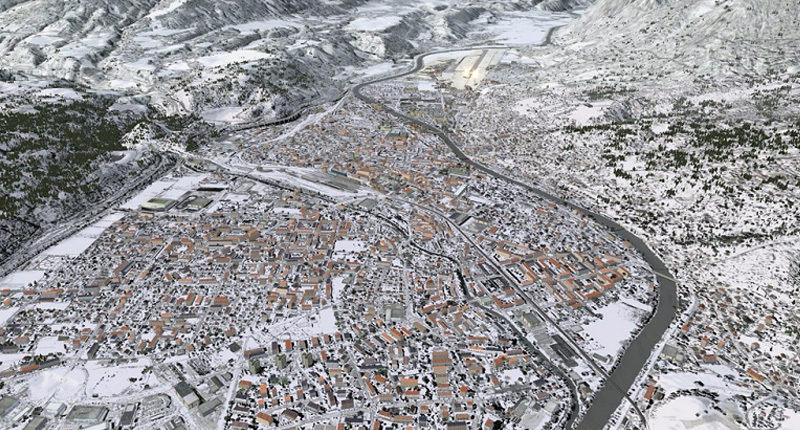 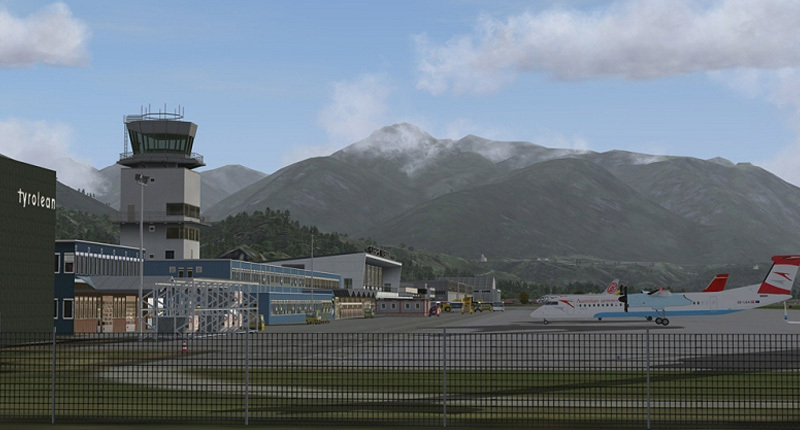 Innsbruck Kranebitten Airport (LOWI) is the main airport of Western Austria. 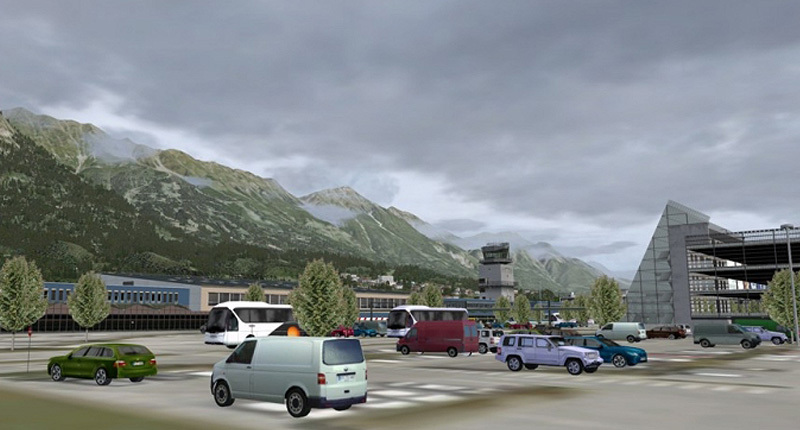 In the winter months it is particularly busy because of the many tourists that come for the ski slopes of the region. 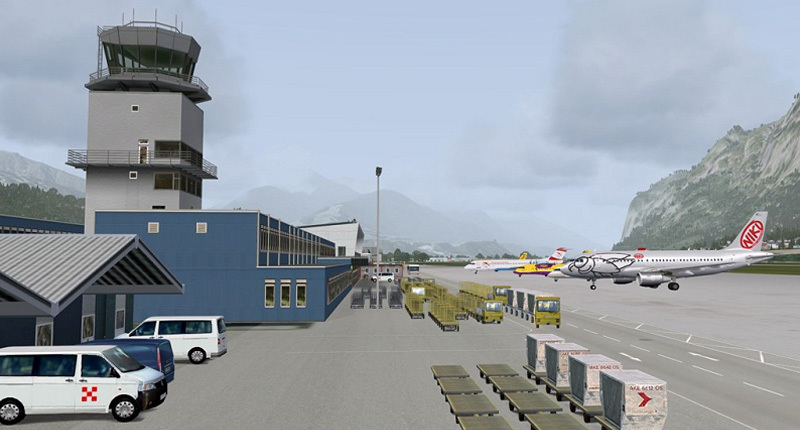 As the airport is located in a deep valley the approaches and departures are far from standard and many of the procedures can only be flown by pilots who got authorisation of the federal office of civil aviation. 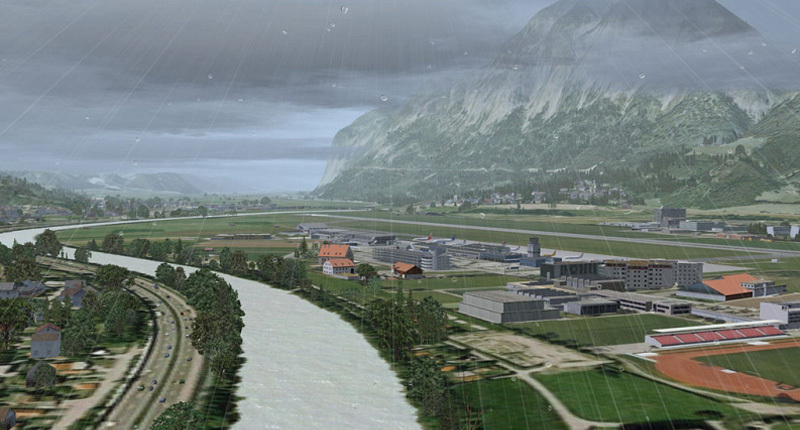 Challenging in good weather conditions, potentially lethal in the less then ideal condition. 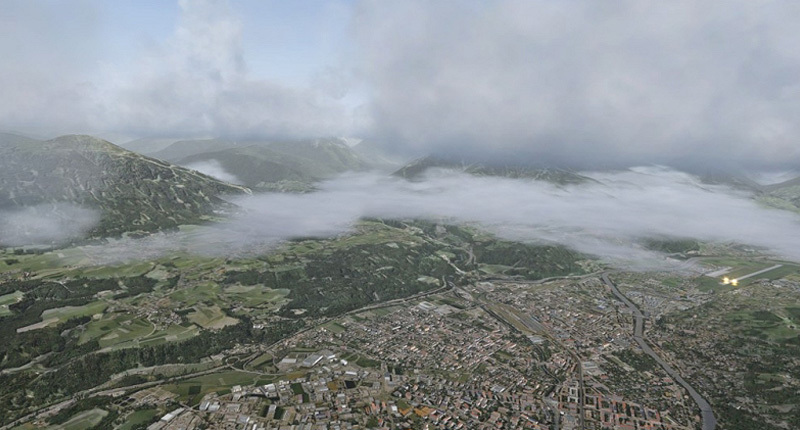 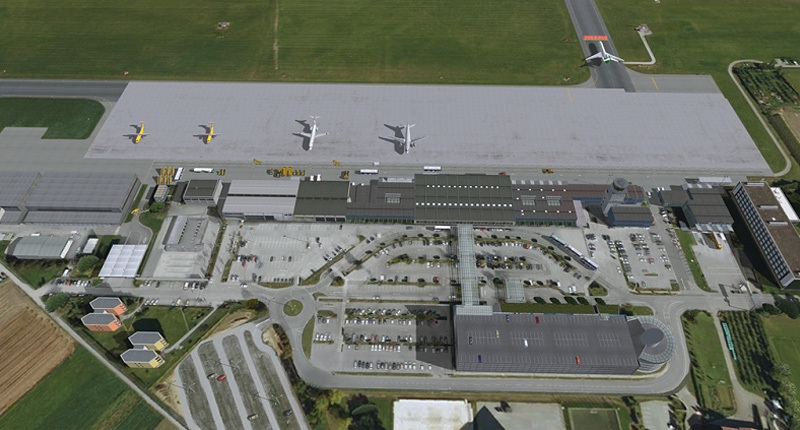 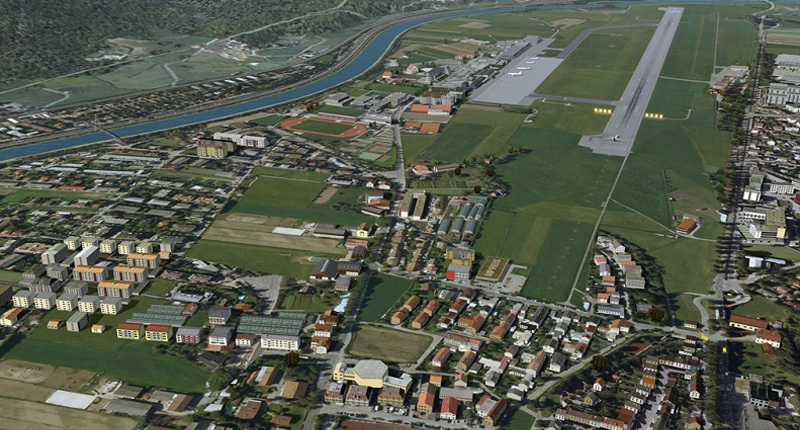 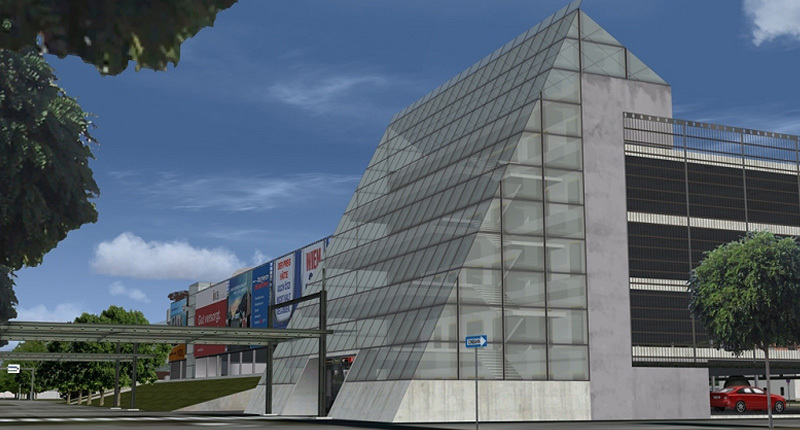 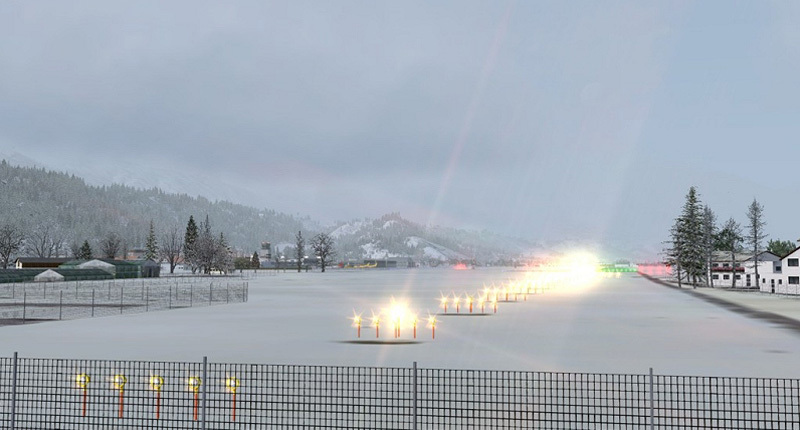 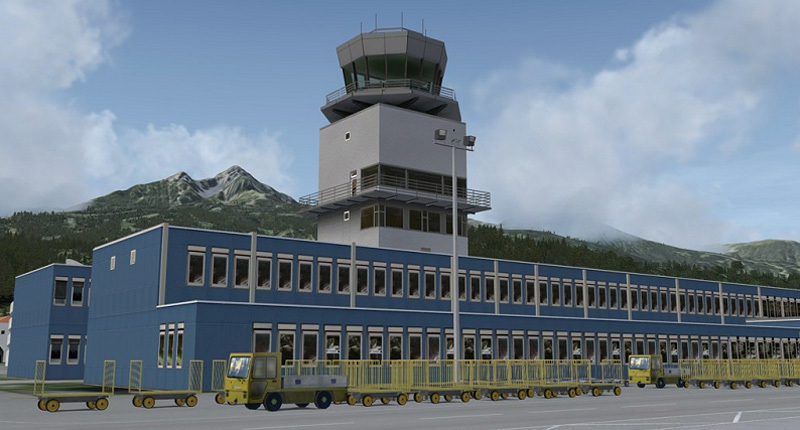 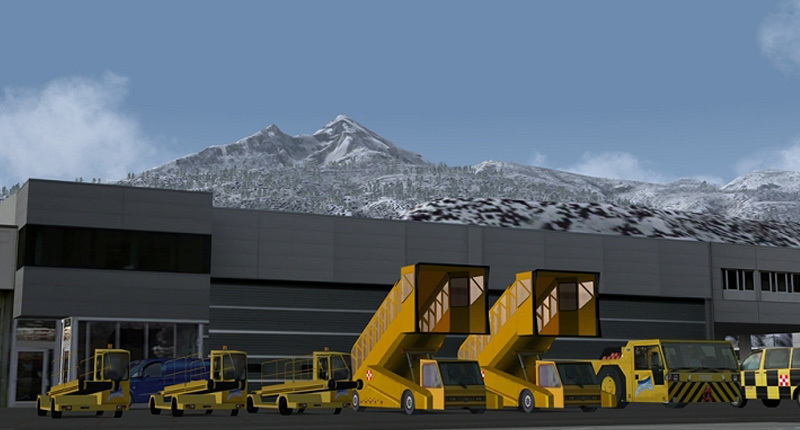 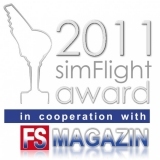 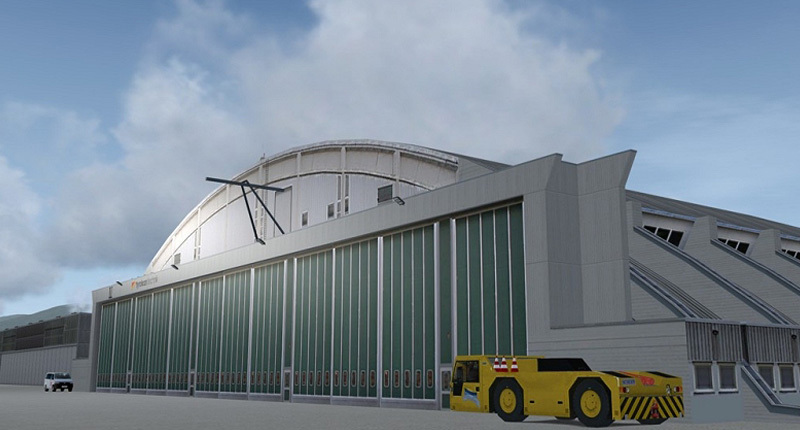 simFlight Award 2011, 2nd place in the category "Scenery: Major Airport"
"This is another quality product from Aerosoft. 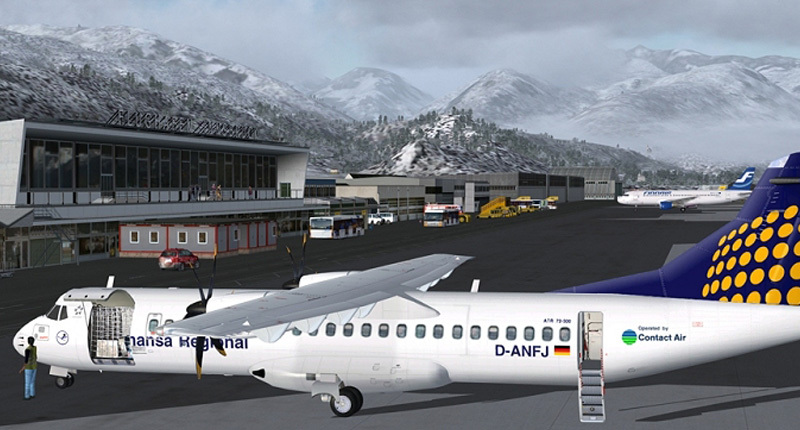 I enjoyed every moment flying in to, from and around Innsbruck and it’s one of those sceneries I’ll keep returning to because of the expanded opportunities for all types of flying it offers. 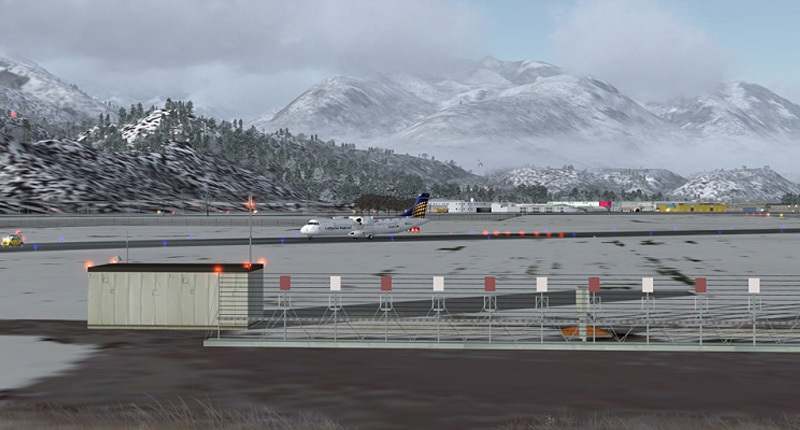 Heavy jet flying and learning the approaches can be a steep learning curve but a rewarding one, and then adding layers of difficulty via weather takes it to another level. 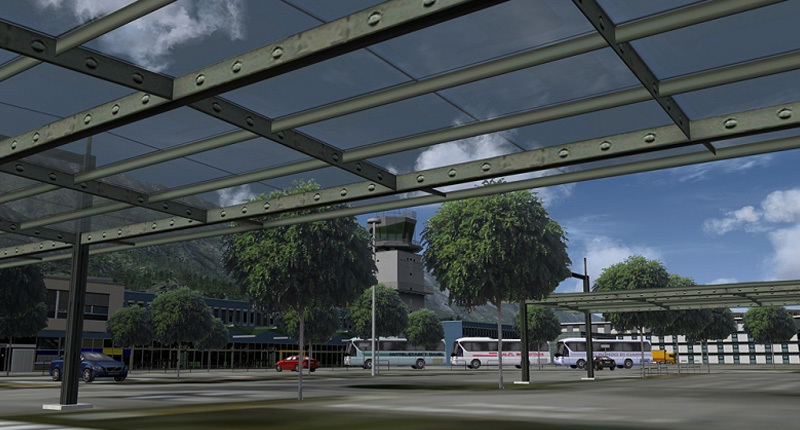 Add chopper sorties and gliding and I feel you have a real destination for fun flying rather than just another airport on the way to somewhere else. 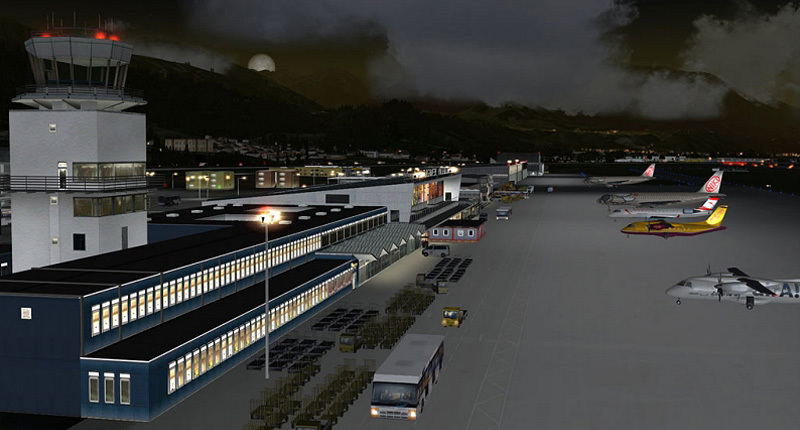 The quality of the buildings and textures are stand-out for me and the night lighting, particularly in the main terminal, is second to none. 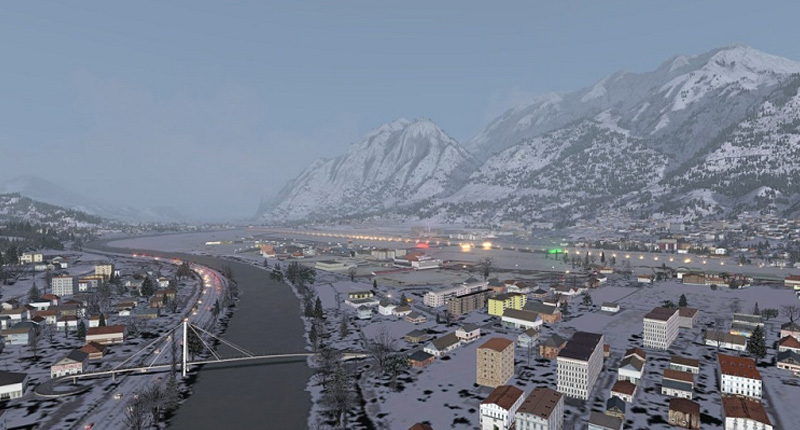 Add AES Lite to this and you have a vibrant city waiting to be explored in either the warm days of summer or the frigid and potentially violent weather days of winter. 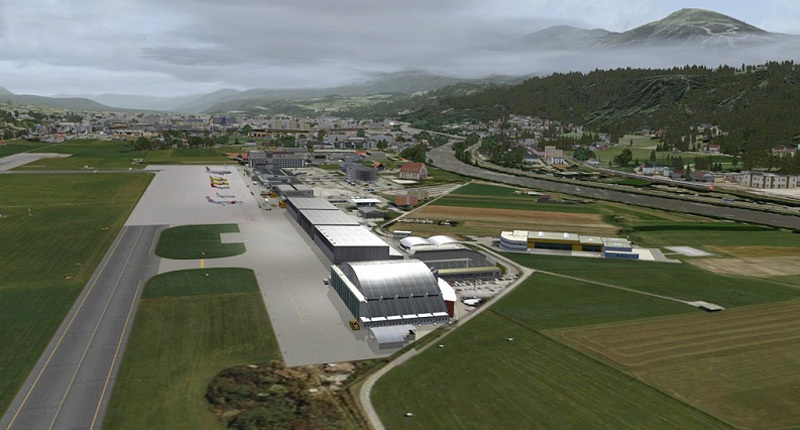 Either way all virtual pilot types will find something here they will enjoy." 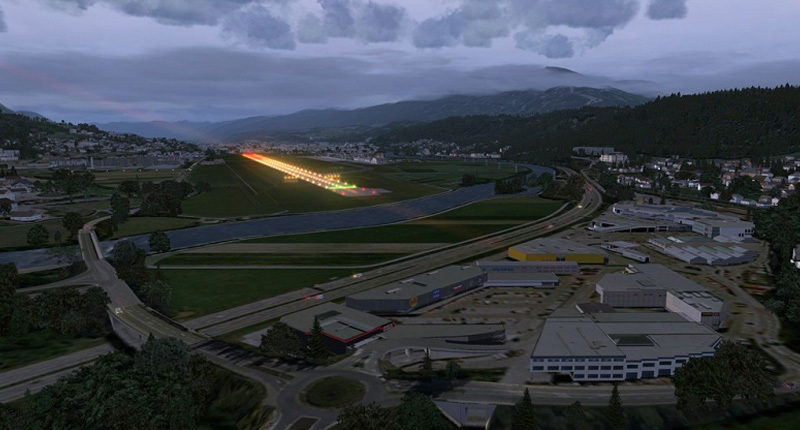 Related links to "Approaching Innsbruck"